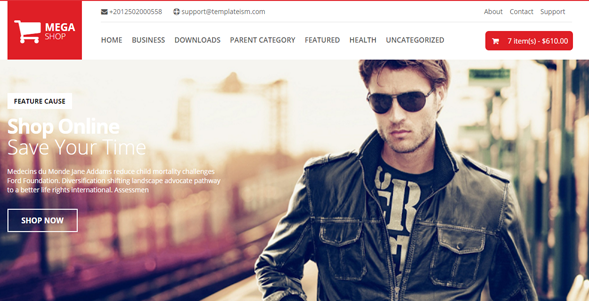 Mega Shop - Responsive Blogger template with amazing clean and modern interface that is ideal for your online fashion stores, boutique, clothing store, mall shop or any apparel store. 100% Pure Responsive: Just like our previous released Publisher blogger template, this template is also purely responsive that means it works perfectly on different browsers, desktops, laptops and even mobiles of any kind. PayPal Payment Method: Every ecommerce site needs a Payment gateway and what is better than PayPal. 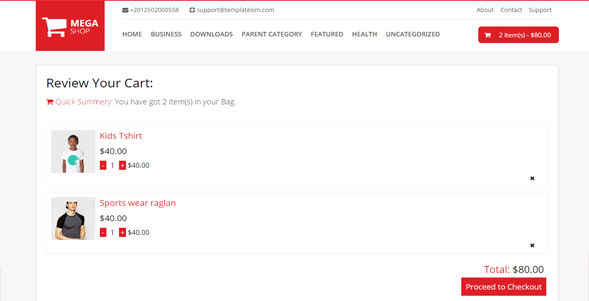 This theme allows you to integrate PayPal with ease using its builtin PayPal Checkout. For integration, check the documentation included with the package your downloaded. 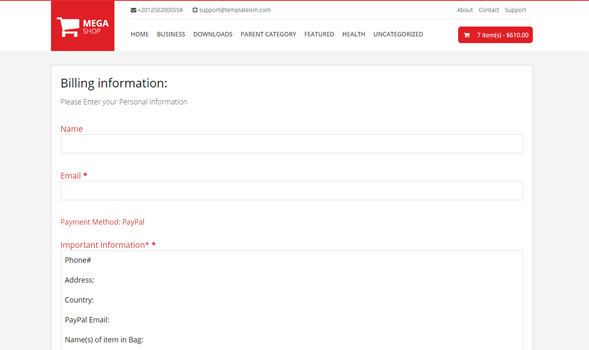 Billing System: This theme also includes a professional billing system that collects the necessary information of the buyer i.e. address, phone no, email, etc. All these information is mailed to the Gmail email address associated with your blog on blogger. Newsletter Feedburner Widget: To keep your users up-to-date with the latest product release and discounts, we have also included a newsletter Feedburner widget to increase more subscribers. Featured Image Slider: To give your shopping store a more professional look, we have also included a featured jQuery image slider that can be used to list feature discounts and products. Featured Products Tabbed Widget: To categorize your products in a better way, this template also included a feature product widget that allows you to display your products in a form of category. You can display different product categorize of your shopping store on the homepage to improve sales. We are really hoping that our template would turn out be great for different business owners who are looking to expend their business by establishing an online shopping store on blogger. Feel free to share your thoughts, suggestions and problems related to Mega shop template in comments below.